The Forest of Hands and Teeth was like a sandwich with really delicious, soft, crusty bread and nothing but plain old bologna as a filler. The beginning and ending were terrific - well executed, tense, action-packed. However, the majority of the book was a tough slog. Overall, the writing is solid, but it wasn't enough to make up for the long, sometimes irritating internal monologue of the main character. As others before me have mentioned, I found the first person, present tense perspective exasperating. At times, it seemed to slow down the action considerably and other times, it was just TOO MUCH. Too much hand-wringing and contemplation, too much analysis, too much thinking and not enough dialogue. 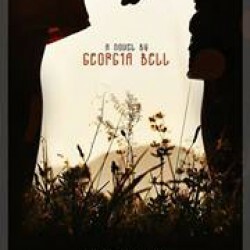 My other difficulty with this book were the main characters. I didn't really like any of them. It's not that I have to fall in love with everyone in a story, but I feel like I should be rooting for someone. And I"m not sure I was. Part of the problem was I didn't feel like I knew any of them well enough. So much of the story was about Mary and her conversations with others rarely strayed from that focus. As a protagonist, she felt selfish from start to finish and I never understood why her suitors cared for her so much in the first place. Or why they went to such great lengths to help her. Mary's obsession with the ocean never rang true for me and ultimately, there was no redemption. 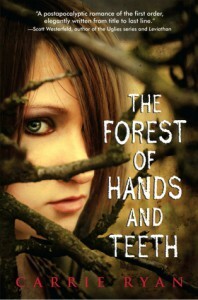 Overall, The Forest of Hands and Teeth had merits, but I won't be continuing on in this series.